Mardieh Dennis is a PhD Candidate researching health systems for maternal health in sub-Saharan Africa at LSHTM under the Faculty of Epidemiology and Population Health. She speaks to us about her journey in maternal health and her research interests that have led her to undertaking her doctoral study at the school. Can you share a bit about your background and what led you to doing reproductive health research at LSHTM? I’ve known for a really long time that I wanted to work in the healthcare field, but it took a lot of exploration in both academic and professional settings to figure out my specific passions. As an undergraduate at the University of Pennsylvania, I majored in Health and Societies, an interdisciplinary program that examined health and medicine through the lenses of anthropology, history, and sociology. Although this degree exposed me to complex ways in which social, cultural, economic, and political factors affect health around the world, I felt I still lacked key analytical and project management skills required for the type of work I wanted to do. I then decided to pursue a Master of Science in Public Health at the Johns Hopkins Bloomberg School of Public Health, where I studied international health and health systems. Upon finishing the coursework for my master’s, I moved to Zambia to complete an internship towards the practicum requirement for my degree and remained there for several years after doing health-related monitoring, research, and evaluation with three different organisations. While working for the Population Council in Zambia, I coordinated a number of research projects related to reproductive and maternal health including one in collaboration with LSHTM called the Evaluation of the Prevention of Maternal Deaths from Unwanted Pregnancy Program (EVA-PMDUP). It was through this work that I was fortunate to meet MARCH Centre professors Veronique Filippi and Oona Campbell, and began developing interests in specialising in reproductive health, improving my quantitative research skills, and becoming an independent researcher in the field. With funding from the Economic and Social Research Council, I started my PhD at the school in 2015 under the supervision of Oona Campbell and Lenka Benova. The vouchers gave poor women subsidised access to antenatal, delivery, and postnatal care in participating public and private sector facilities, the free maternity policy allowed women (regardless of socioeconomic status) to receive free care in all public sector facilities. What are some of the big challenges in maternal health and what is your PhD research looking to address? Although maternal health outcomes have improved substantially at the global level over the past few decades, progress has been insufficient and huge disparities remain at the regional, national, and sub-national levels. Most maternal deaths can be prevented; however, women experience a number of barriers to receiving care related to sociocultural issues, financial and physical access, and service quality and availability. My PhD research focuses on women’s financial access to care and the role of the private sector in increasing coverage of maternal services in sub-Saharan Africa. 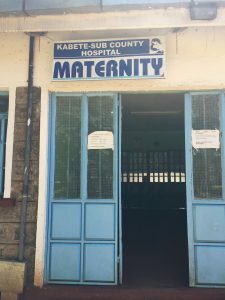 Using a case study on Kenya, my research aims to explore how different health financing mechanisms affect women’s use of maternal health services and their continuity of care from antenatal services to delivery care to postnatal care. In the first published paper from my PhD entilted ”Evaluating the impact of a maternal health voucher programme on service use before and after the introduction of free maternity services in Kenya: a quasi-experimental study”, we examined the impact of a maternal health voucher program before and after the Kenyan government introduced a free maternity services policy. While the vouchers gave poor women subsidised access to antenatal, delivery, and postnatal care in participating public and private sector facilities, the free maternity policy allowed women – regardless of socioeconomic status – to receive free care in all public sector facilities. We found that prior to the introduction of the free maternity services policy, the voucher program was associated with an increase in use of facility delivery, but had no effect on use of antenatal care or postnatal care.The voucher program was also associated with increased use of private sector care. 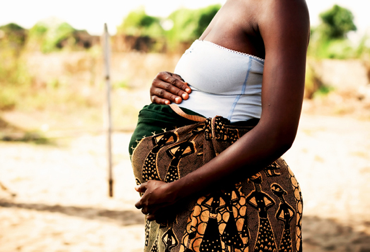 After the free maternity services policy was introduced, women in voucher and comparison counties experienced similar increases over time in use of antenatal care, facility delivery, and postnatal care individually; however, women in voucher counties experienced a greater increase in use of maternal care across the continuum as recommended (at the time that the program was implemented) meaning receiving four or more antenatal care visits initiated within the first trimester of pregnancy, facility delivery, and postnatal care within 48 hours of delivery. Additionally, use of private sector services remained higher in voucher counties after the introduction of free maternity services. Local health Centre in Kenya, Africa. How do you think this research might have an impact in the maternal health field? So far my PhD research has two important findings that I hope can be used by policymakers in Kenya and other countries looking to reduce financial barriers to service-seeking and improve maternal health outcomes. First, women in voucher counties continued to use vouchers and seek private sector care even after services became free in the public sector. This suggests that in addition to making services financially accessible, policymakers must also consider whether their policies and programs are offering women sufficient choice with regard to where they can seek care. Second, I would like for my research to stimulate more discussion about how we measure the success of maternal health financing programs, and to encourage policymakers to think about how their policies and programs are influencing service-seeking patterns across the maternal health continuum rather than just at discrete points along the pathway. Engaging in platforms such as Twitter is a great way to learn more about the broader discourse surrounding your field of interest and allows you to interact with a much more diverse group than you will encounter within the walls of your university. 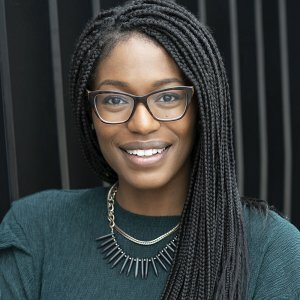 What advice would you give prospective or current PhD students? I think it’s important to take time to work in your field of interest before starting a PhD so that you have a better understanding of your discipline and allow yourself enough time to think about what contribution you want to make to your field. For those who have already started their PhDs, I think it’s really easy for us to develop tunnel vision and only think about the specifics of our thesis work, completing the dissertation, and publishing our work in peer-reviewed journals. Although it has been challenging, I’ve tried really hard to stay informed on new developments in my field, both within and outside of the academic research community. Engaging in platforms such as Twitter is a great way to learn more about the broader discourse surrounding your field of interest and allows you to interact with a much more diverse group than you will encounter within the walls of your university, including fellow academics from other institutions, policymakers, health providers, advocates, program implementers, donors, and the general public. Interacting with these diverse actors may expose you to new and important perspectives that could help strengthen your research, and also provide you with an opportunity to discuss your findings with a wider community. We really appreciate Mardieh contribution to the blog and are thankful that she has shared her journey which we hope will inspire and motivate others to embark on further research or reading in the field of maternal health and health financing. « Have you got data on follow-up of children after Group B Streptococcus infection?